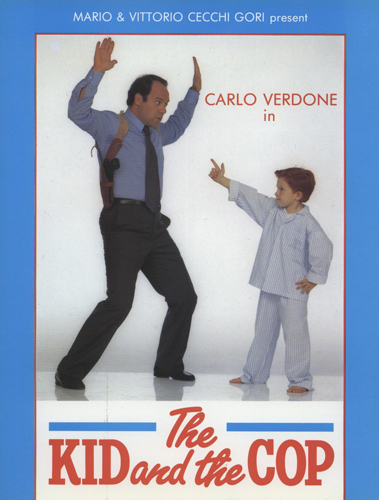 Carlo Vinciguerra is a Police Inspector who’s very good at his job. And it is perhaps because of the nature of the job and his commitment towards it that he has decided not to have children. He’s therefore a single, but has been having an affair with a policewoman named Lucia (Barbara Cupisti) for some time, who is married to a bank clerk. They meet in secret, hoping one day to make their relationship legal. One night in June, Carlo orgnizes a raid on the apartment of a certain Rosanna Clerici (Adriana Franceschi), a very attractive but disquieting young girl, an ex-addict, who the police suspect of allowing her apartment to be used for meetings and the sale of drugs. And this is indeed what’s happening, although Rosanna has been ''off the needle'' for some time. Rosanna is arrested during the raid, along with some important, and less-important, operators in the drugs business. They’re all loaded into the squad cars and taken down to the local Police Headquarters for questioning. Carlo remains behind with one or two of his colleagues, in order carry out a thorough search of the apartment where someone managed to dump a quantity of cocaine before being arrested. As they continue with their search, a sleepy little boy of six wanders out of his bedroom, in pyjamas, and when he sees the policemen asks, with a yawn: ''You haven't arrested my Mum again, have you?'' The little boy 's name is Giulio (Federico Rizzo) and he’s Rosanna’s son. And this is where the real story of the film starts: a cop who takes the small son of the girl he sent to prison under his wing, growing fonder and fonder of him daily. In spite of the fact that Rosanna hates Carlo, and she has every reason to, he really begins to love the kid like a father, also because he is completely alone in the world, with no father or relatives of his own. Giulio's having entered Car1o's life inevitably upsets the relationship between he and Lucia who is not only jealous of the attention Carlo gives the kid, but also of the fact that he sincerely wants to help Rosanna, to liberate her from the pushers who are blackmailing her. When Rosanna is finally able to overcome her hatred for Carlo and find the courage to collaborate with him, giving him the pushers' names, Giulio is kidnapped in front of the entrance to his school. It is a brutal warning to Rosanna to keep her mouth shut. Carlo doesn't waste a minute. He swiftly organizes the hunt for the kidnappers, tracking them down thanks to some ingenious clues left by Giulio, and reminiscent of Tom Thumb. Now that Giulio has been freed and the gang of pushers rounded up - also thanks to Rosanna's having given Carlo their names - the only thing that remains for Carlo to do is hand Giulio over to his Mother who is now free to leave prison. Is this goodbye forever for Carlo and Giulio, or will they and Rosanna be a family one day? The final meeting, in front of the imposing gates of the Rebbibia prison, will reveal all.